That’s an odd question to start off a running store blog with. But it’s a question that’s surprisingly relevant to any runner or anyone hoping to start running. And it has been particularly important to me recently. This past summer I signed up for my first ultramarathon. I had never raced a marathon, or a half marathon. In fact, the farthest distance I had ever raced was a 10k about five years ago. And here I was signing up for a 50k on somewhat technical trails with 4,500 feet of elevation gain. There are much harder races out there, but this was a huge step for me and my running. I think a lot of you have been in somewhat similar situations or are in a similar situation now. Maybe it isn’t an ultra, but maybe it’s your first half marathon or maybe even your first 5k. You decided to do something that pushed you out of your comfort zone. And looking at all the miles you were going to have to run, the hours spent on the roads, the weekend mornings you’d have to wake up early for a long run, you felt completely overwhelmed. That is your elephant. Or for any vegans out there, it’s your giant pumpkin that won a blue ribbon at the county fair. So how do you eat your elephant (pumpkin)? Every morning you wake up and commit to what’s on your schedule for that day. Instead of focussing on everything you have to do to prepare for that marathon, focus on what has to be done right now. Have a 15-mile run to tackle? Focus on running the first five miles. Don’t think about the next 10 until after you’ve run that first five. By breaking your schedule or runs into smaller and more manageable pieces, you are less likely to feel overwhelmed and more likely to make tangible progress toward your goal. 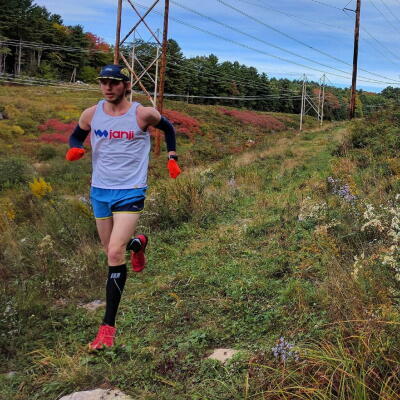 This weekend, I will run my first 50k. I have never run 31 miles and I don’t know if I can. But I do know that I can run five miles. So I will run my first five miles. And then I’ll run another five. And another until I have crossed that finish line. Whatever it is you are trying to do, focus on small manageable chunks. This applies to the real world as much as it does running. It doesn’t matter if it is your first 5k, marathon, or if you have an entirely different goal in life. By taking one bite at a time.